CII’s IETF 2019: Blend of Technology and Gaming Enthralls visitors, thousands throng at fair pavilion! New Delhi: International Engineering and Technology Fair being organised at Pragati Maidan in New Delhi is proving to be an excellent blend of not only technology and business but is also encouraging large participation of youngsters through its amazing Indian Game Show. IETF – the biennial Flagship Event of CII since 1975 – in its long journey has achieved the status of a comprehensive international B2B event in India. Segmented into well-defined technological sections of the engineering, manufacturing industry and services sector, a number of focused sector specific shows have been successfully organized as concurrent shows with IETF, over the years. The 23rd IETF 2019 is featuring focused shows including Learning and Skills EXPO 2019, Metal and Metallurgy Expo, CleanTech and Environment, India Industrial Automation & Robotics, Logistics and Real Estate and Building Technology. However apart from this, there are also concurrent events being organised in the domains of Artificial Intelligence, Health Tech India and India Gaming Show. Large number of youngsters can be seen in the Indian Gaming Show pavilion, experiencing the thrill of gaming with high-end graphics and latest processors. The advance technology, amazing blend of modern games, VR features and plethora of variety is proving to be a large crowd puller at the ongoing IETF 2019. The event would be showcasing the strength of Industry from around the Globe, where companies and organisations would display latest products & technologies. The categories of visitors include CEOs, decision makers, technical experts, sourcing personnel, diplomats, Trade and Government Delegations, media & many more. 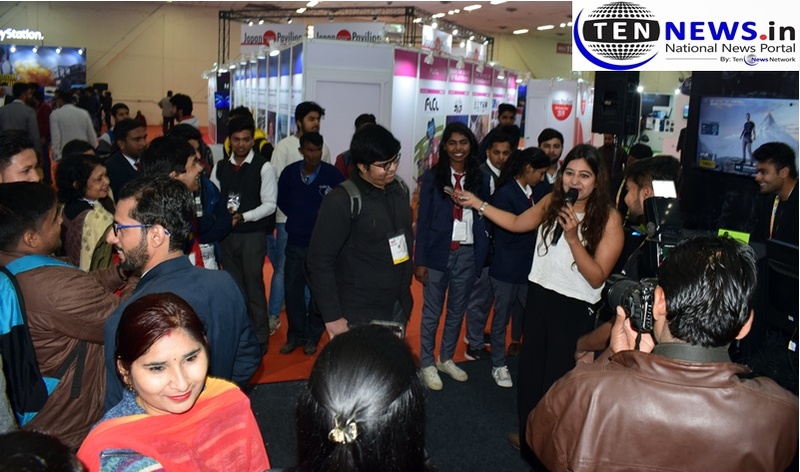 CII's IETF 2019: Blend of Technology and Gaming Enthralls visitorsthousands throng at fair pavilion!